Cesar serves as PTF’s M&E Specialist for WB GPSA i-Pantawid Project in the Philippines and TAME Project in Mongolia. Cesar is an Urban and Regional Planner with close to 40 years of professional experience in rural-urban economic development, evidence-based management of multi-component projects, and theory of change-based monitoring and evaluation in the Philippines, Indonesia, Vietnam, Myanmar, Fiji, Mongolia, Ghana, Bangladesh, and the United States. He has worked with numerous central government agencies, local government institutions, and NGOs/ CSOs on community-driven development; capacity-building and education; institutional strengthening; local governance/ decentralization and local revenue/ resource generation; social accountability and constructive engagement with communities; climate change and environment; infrastructure planning and maintenance; livelihood development; public-private partnerships; poverty studies; and gender and development. Mr. Umali has been engaged on various projects funded by USAID, World Bank, ADB, KfW, UNDP, FAO, CIDA, European Union, U.N. ESCAP, GIZ, AusAid, and Multi-Donor Fund for Aceh. He is a licensed environmental planner, with an M.A. 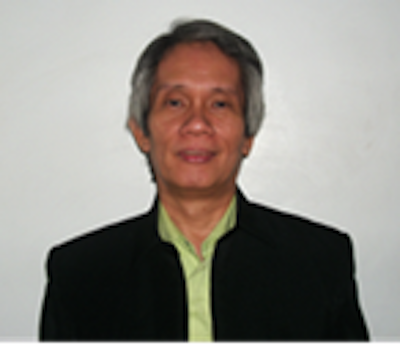 in Urban and Regional Planning from the University of the Philippines, where he was lecturer from 1987-1993. He completed the Massachusetts Institute of Technology’s one-year Special Program on Urban and Regional Studies in Developing Areas. He has published books and articles on rural/ regional development. Your ticket for the: Cesar B. Umali Jr.